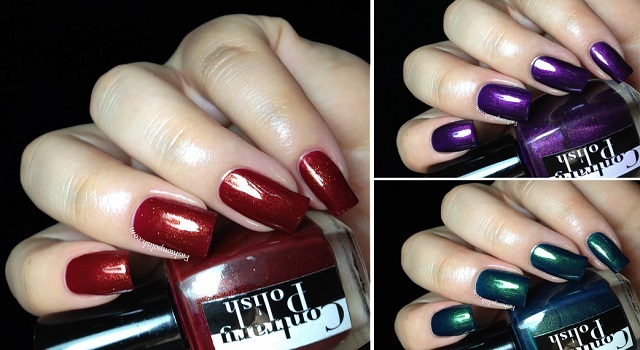 Fashion Polish: Contrary Polish Color Context Collection Review! Contrary Polish Color Context Collection Review! I don't know about you but I'm always super excited about Contrary Polish releases! I mean I love indies but sometimes I get glitter-overloaded and I really love that Carrie focuses on shimmers. Blood Orange is a deep blue based red with gold shimmer, giving it an overall orange look. 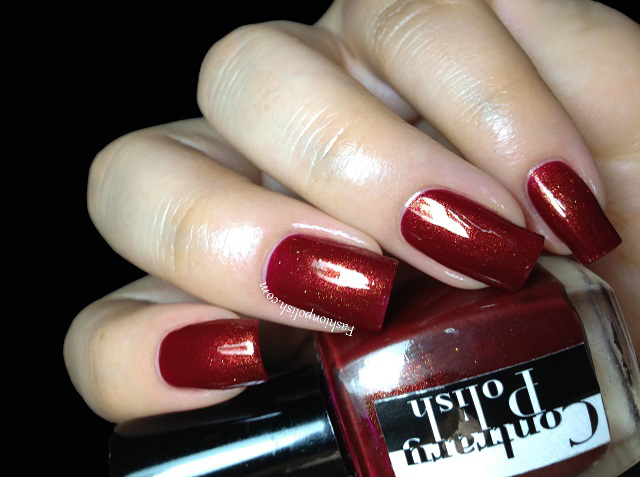 Lustrous and a beautiful take on the classic red, if you're into them you will definitely fall in love with this one. 2 coats plus topcoat. Indigo Rose is a dark blue base with a orangy-red shimmer, for an overall warm purple hue. A gorgeous vampy purple. Damn I love vampies! 2 coats plus topcoat. 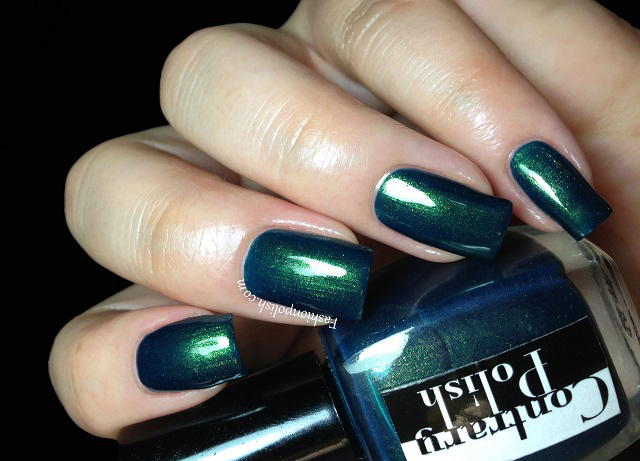 Green House is a deep blue base with gold shimmer, overall teal-ish green. I feel like I'm repeating myself but this one's plain stunning. 2 coats plus topcoat as well. If you love shimmers, you can't go wrong with Contrary Polish. Formula is always "spot on" and the contrasting particles always add such a nice twist to your manicure! I'd really have a hard time picking a favorite in this particular collection as they all appeal to me in a different way. What would yours be? 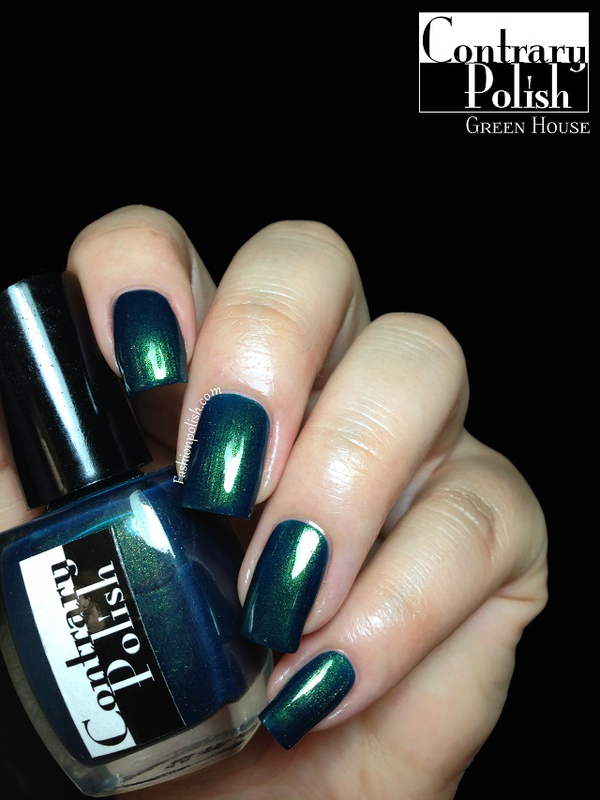 Contrary Polish can be purchased from llarowe as well as Femme Fatale Cosmetics and Shop Eclecticco. A few shades are also available in mini size directly from Contrary Polish. For more information, please refer to Contrary Polish's blog.